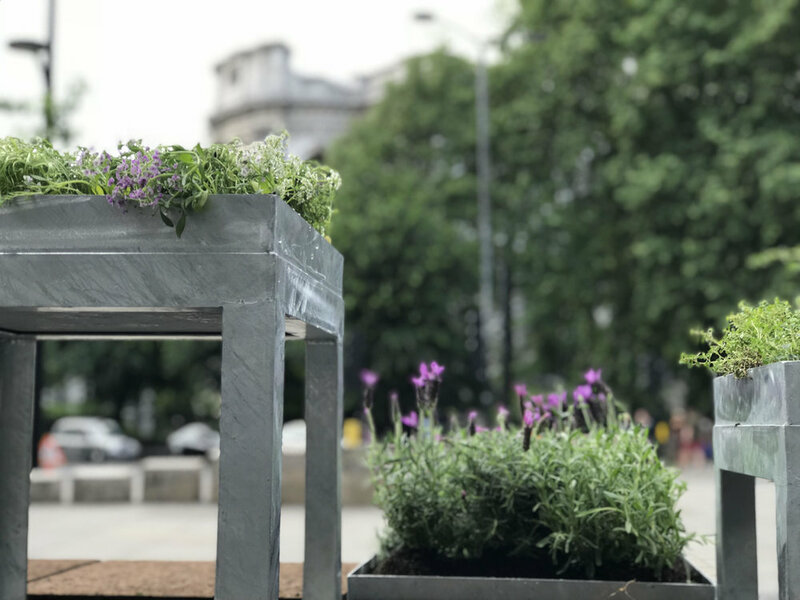 The Garden Bench was one of nine benches installed in and around the City of London as part of the 2018 London Festival of Architecture. The City of London has a long history of courtyard gardens from Postmans Park to the Cleary Garden. The Garden Bench draws inspiration from this heritage. It is formed of eight platforms of differing height, arranged to create private pockets for contemplation and adjacencies for conversation. 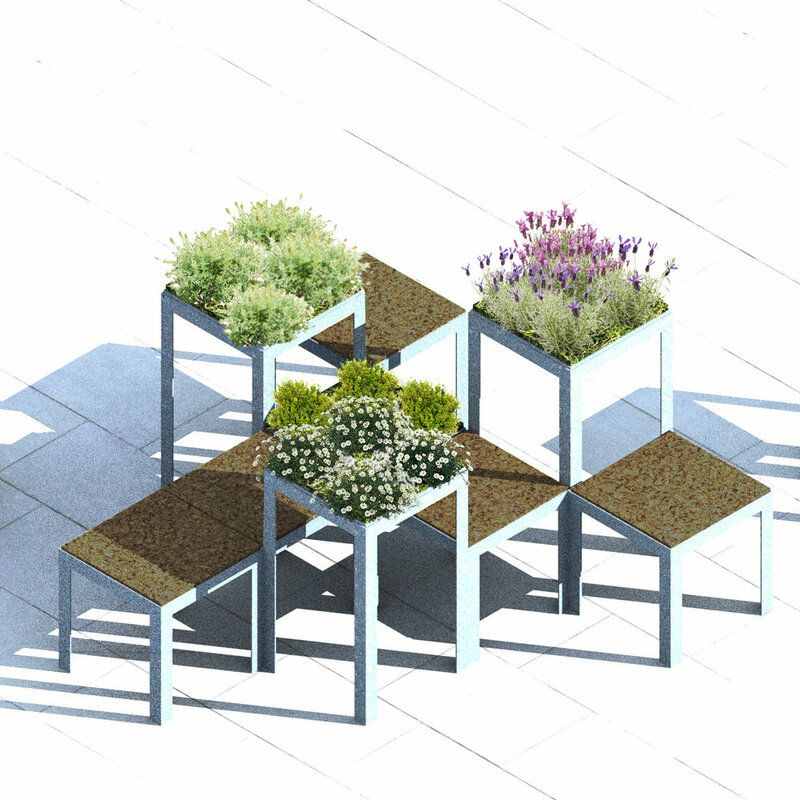 The materials have been chosen for their tactile as well as visual qualities with the plants - camomile, lavender and thyme - adding a further sensory dimension.